The transport volume and demand for services is growing, while the number of drivers and the loading capacity is decreasing. The situation forces the German industry to take quite controversial actions. There is a lack of 45 thousand truck drivers in Germany. In the near future, one should expect a much greater shortage of personnel in the industry. 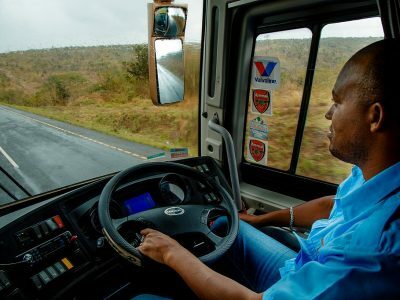 According to the local media, about 30 thousand truckers leave the profession every year, and the industry only about 16 thousand employees enter the profession. The market situation forces carriers to look for all possible solutions. In addition to concepts such as lowering the age required to obtain a C + E driving license and introducing courses and exams in simple German, Merkel’s idea is back on the table. The point is to fill the gaps in the transport industry with immigrants. Before entering the program, the Red Cross will check the level of German language and the candidate’s status. In turn, the SVG Nord school will test his skills and lead him through a three-year education period. Two years ago, the German Chancellor wanted immigrants to assimilate quickly into the German society and find a job. According to the head of the government, the ideal place for the newcomers is … the cabin of the truck. In Germany, from October 2016, it is possible to pass a driving test in Arabic. German media reports that only between October 2016 and February 2017, 10 thousand immigrants registered for a driving license course. The Germans were shocked by the fact that the exams were held in Arabic. They are afraid that the next step would be to introduce Arabic to public schools. Germans’ prejudice towards immigrants behind a wheel of a truck reached a picking point at the end of 2016 when the tragedy in Berlin took place. On December 19, 2016, a Tunisian refugee kidnapped a truck and after shooting a Polish driver, Łukasz Urban, he entered the crowd at a Christmas market in the center of the capital. At that time 12 people died and over 50 were injured. 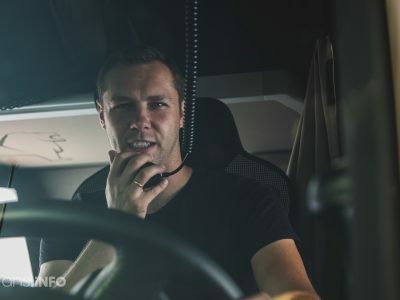 Survey – what are the driver needs? The German Transport Association (BGL) approached the subject with more prudence and in a methodological way. The association wants to learn from the drivers themselves what needs to be changed to make their profession more attractive. Therefore, BGL has created an online survey (under the link: www.surveymonkey.de/r/Fahrerbefragung) and also organizes field surveys. The questionnaire can be filled in by June 5 this year. The results of the survey will be used by BGL as a starting point to create a strategy. In addition, the union wants to present the results to politicians from Brussels and hopes that the voice from the industry will affect the negotiations on the Mobility Package. In the current debate on the Mobility Package, many of the main figures from the world of politics, industry and professional associations seem to know what drivers really want. However, nobody has asked the main interested parties until now – emphasizes Dirk Engelhardt, head of BGL. 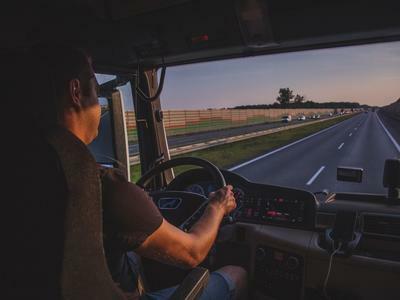 – If we really want to increase the attractiveness of the driver’s profession, we must find out what bothers the truckers and what they would like – says Udo Schiefner, SPD MP who joined the BGL initiative. From the initial information of the association, drivers demand above all more respect, greater opportunities to reconcile work and family life, greater flexibility of regulations regarding periods of work and rest, and cleaner, free parking lots.